Please note that this current website does not have a shopping cart. To buy our Dyed Shadow Fox Skins online, please go to our e-commerce website at NaturalExotics.ca. 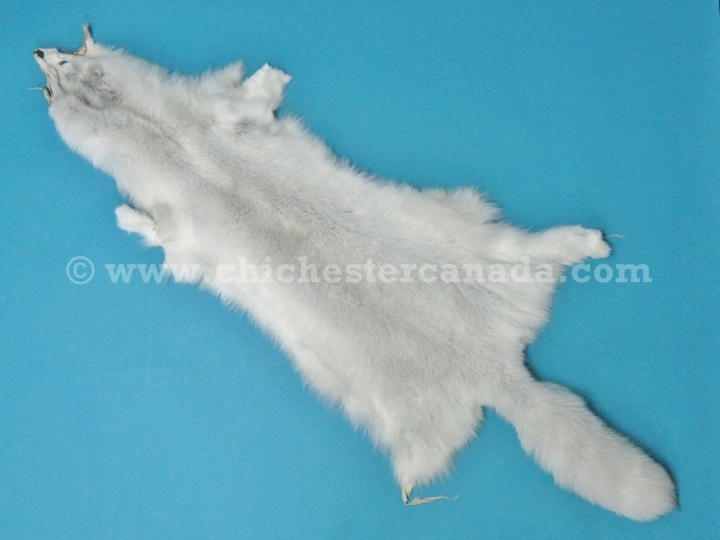 These are nice trading post-quality Finnish shadow fox skins. They are open, mostly white with black highlights, and may come with or without a tail. We measured one skin as 102 cm long, 41 cm wide at the top, 28 cm at the middle and 56 cm at the bottom. It weighed 0.36 kg. 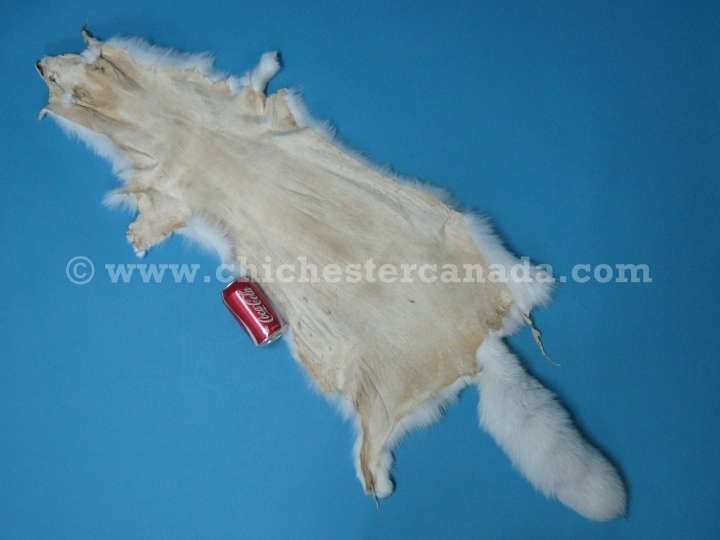 We also have some nice fashion-quality dyed shadow fox skins for sale on our gallery. There are no export controls for this item. Shadow Fox are not endangered and are not subject to CITES controls.